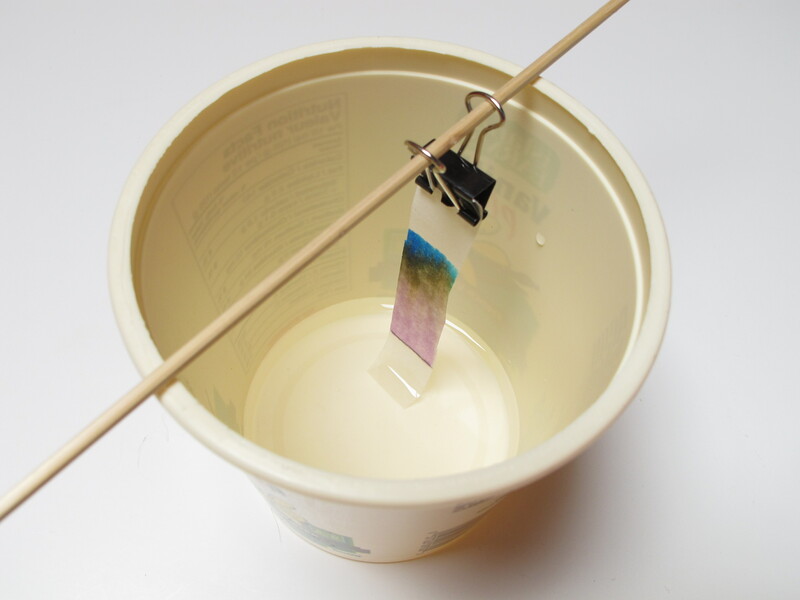 Students use chromatography to separate the colours in black ink. The unique colours in different black pens can be used to identify which pen was used to write a note. Cut out filter paper, using the template to make the correct size. 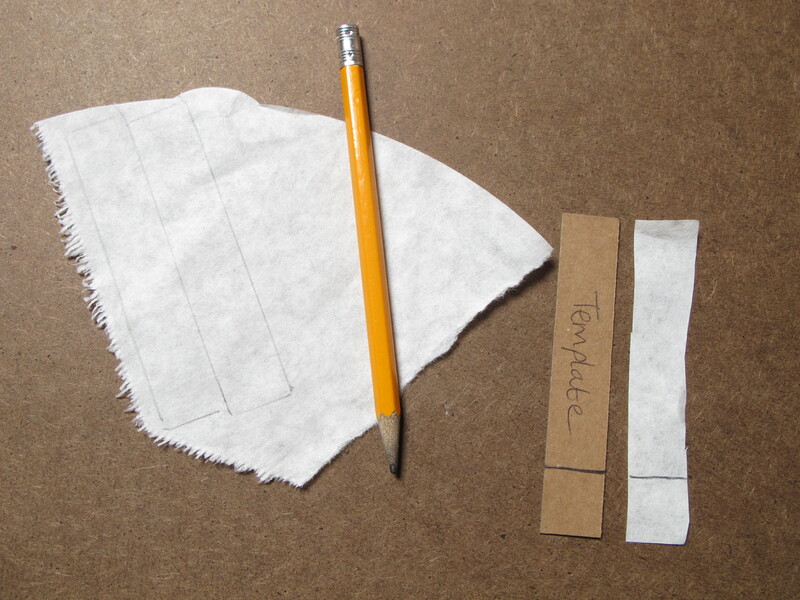 Draw a pencil line across the paper, where indicated on the template (see 1st image). With each black pen make a line across the strip of the filter paper, over the pencil line. Wait three our four minutes until the colours have separated up the filter paper to within 1cm from the binder clip (see 3rd image). 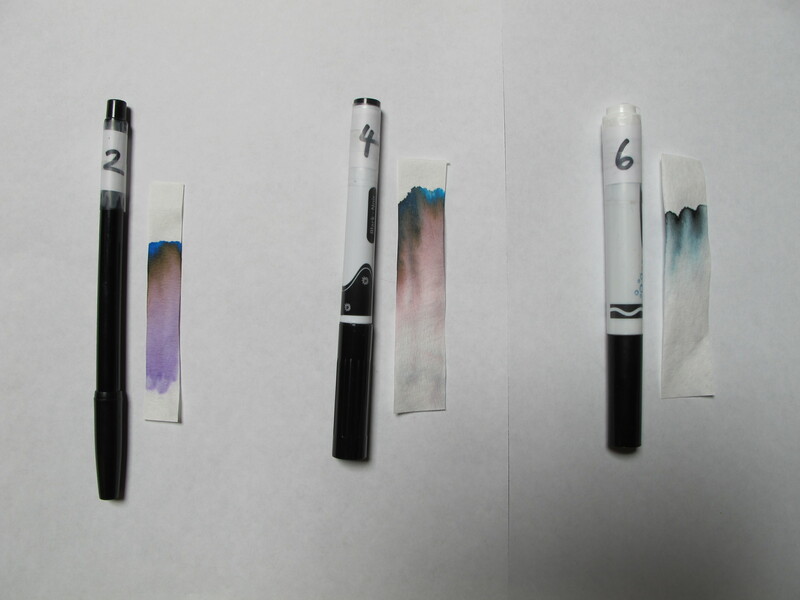 Many black pens have a different chromatography pattern (see 4th image). Note that marker brands change their ink composition now and again (e.g. crayola now has more ink colours in some of their black markers). 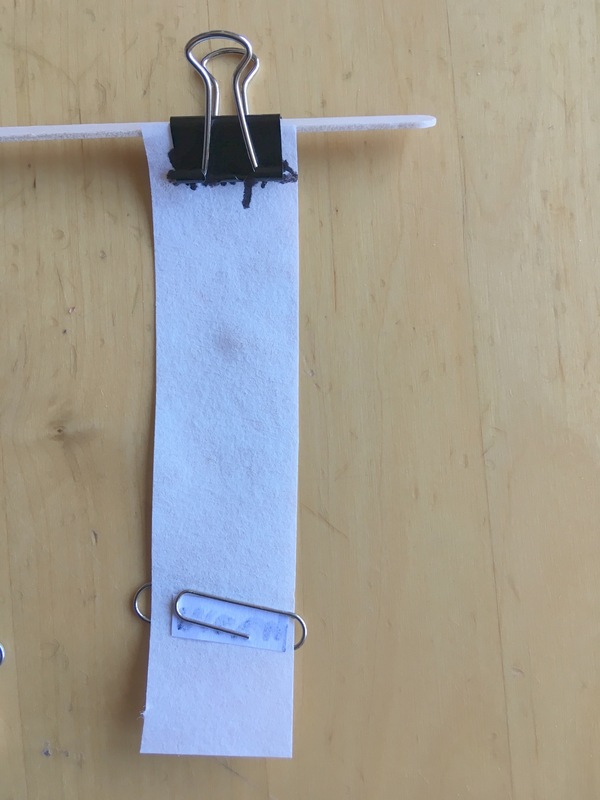 Cut a small piece of the note and use a paper clip to secure it, ink side down, to a new strip of filter paper. Separate the colours as before. Compare the colours to those with the three pens. Although the pattern will be less intense, the colours in it should identify it as one of the pens. 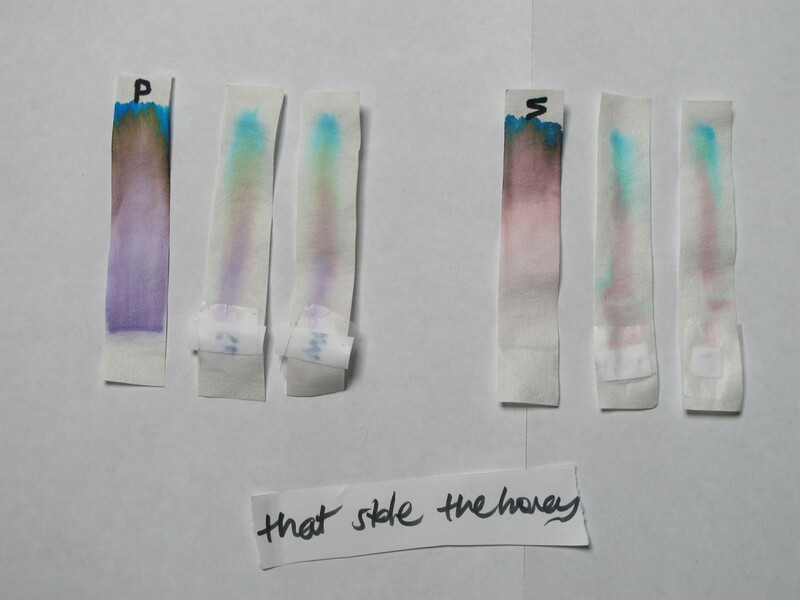 (See 5th image for the chromatography patterns of two pens: the two right-hand chromatography patterns in each case were from a written note). 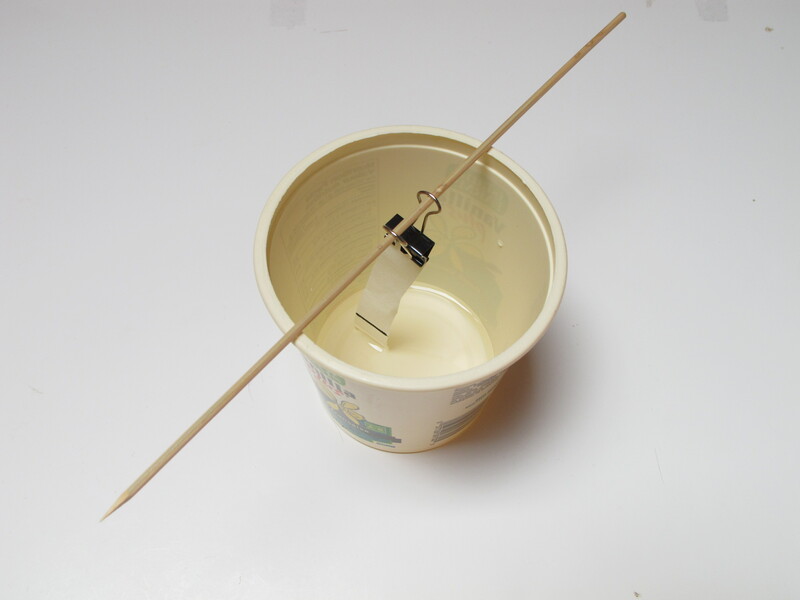 (If this does not work too well, the note can be written directly on filter paper with enough room to cut it into strips that can hang in the pot).